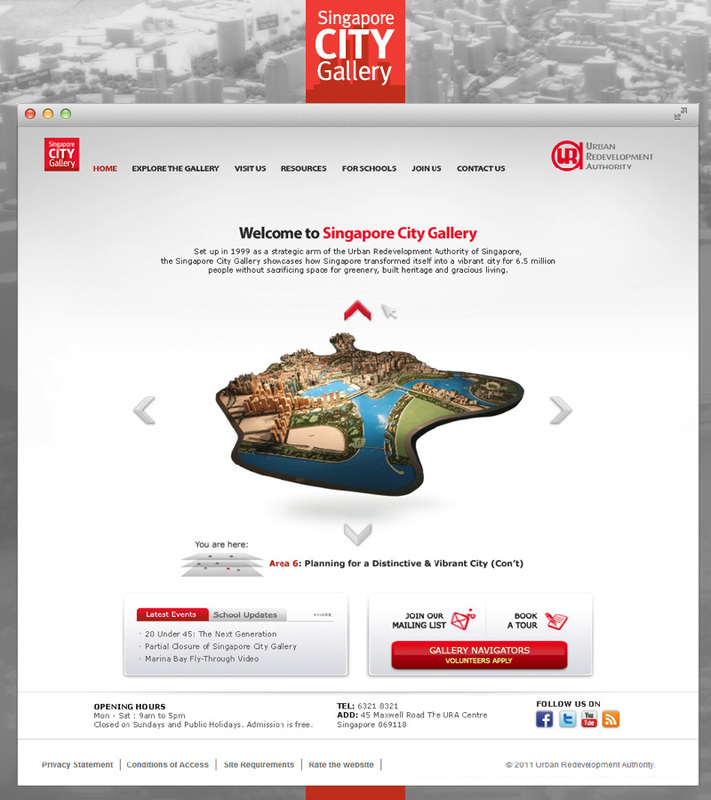 Singapore City Gallery is the only gallery that tells the story of the nation’s planning efforts, showcasing its remarkable physical transformation of the past, present and future. The design has clean, simple and modern feel. 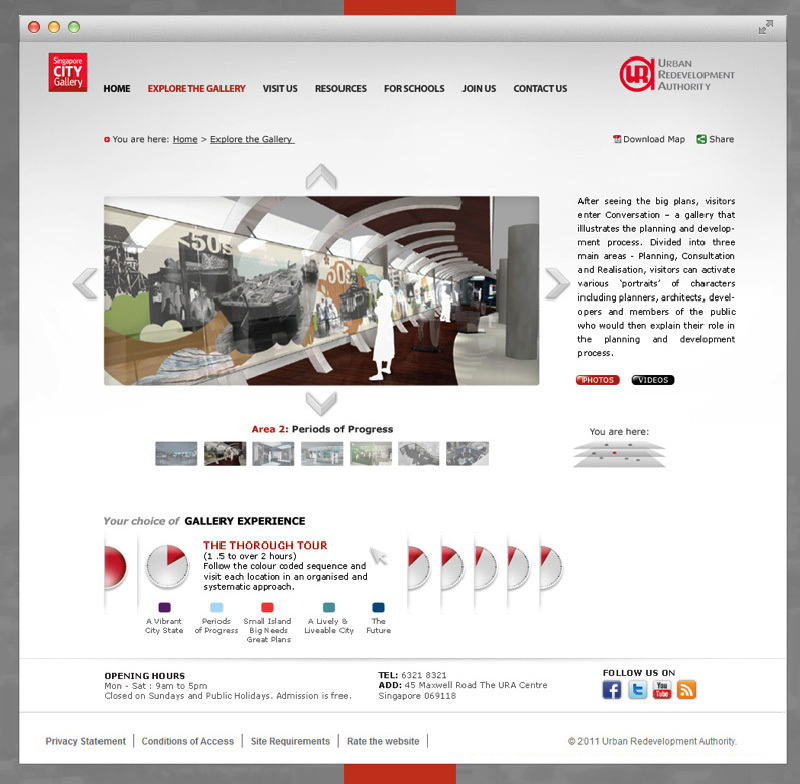 It integrates the actual experience and layout of the Singapore City Gallery by allowing the visitors to navigate throughout the exhibits. 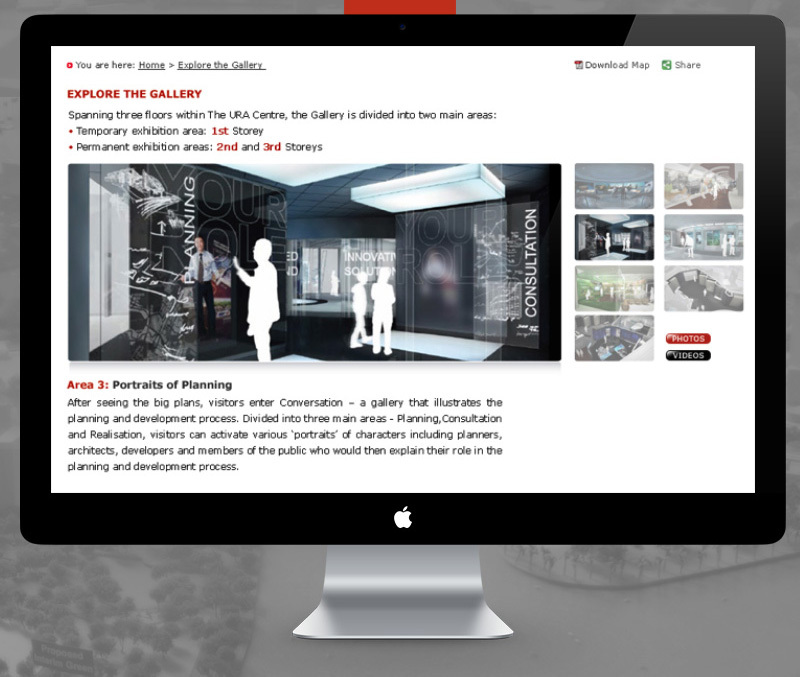 It uses a 4-way directional arrow that can move 360 degrees along the same floor as well as up and down the 3 stories to learn more about the exhibits of the virtual Gallery.